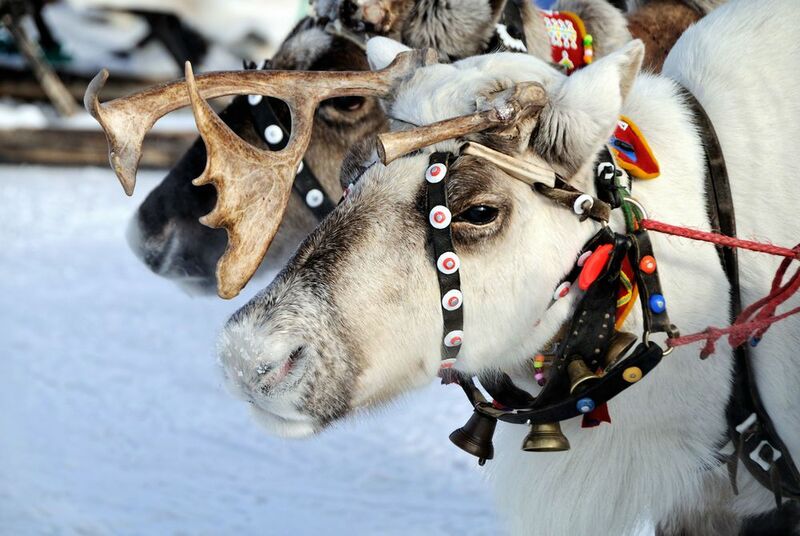 This superb seven-day tailor-made holiday takes in just some of the many highlights that Swedish Lapland has to offer. 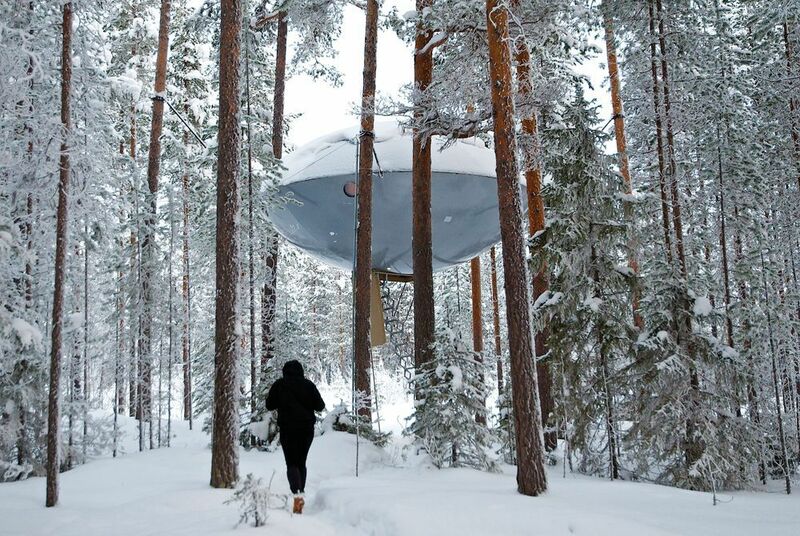 You'll begin your weeklong Arctic adventure with a stay at the Treehotel, located near the town of Luleå, where rooms include a UFO, a Mirrorcube and a Bird's Nest. 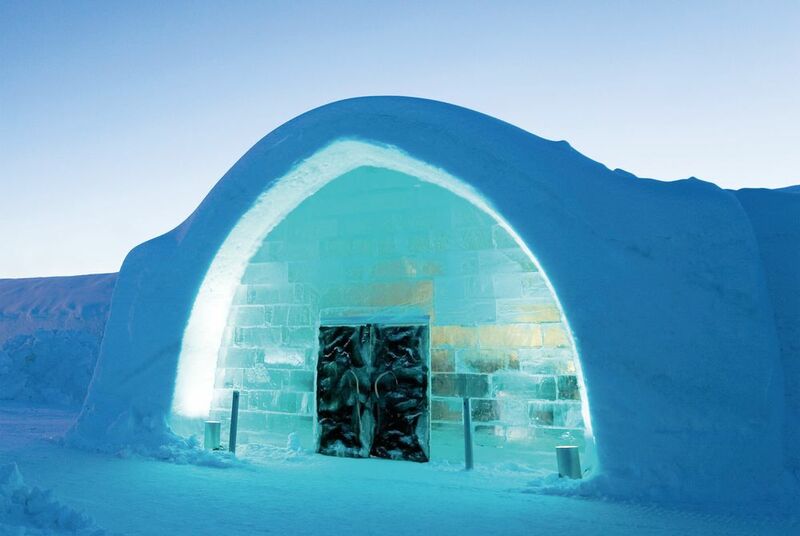 From there it's off to the iconic ICEHOTEL for a night spent sleeping on a bed of ice and the chance to enjoy a wealth of exciting excursions, with husky safaris, snowmobiling and reindeer tours all on the menu. 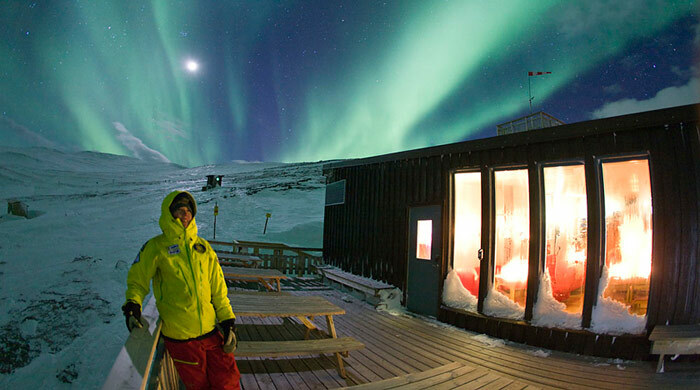 After a further night at ICEHOTEL, this time in one of their "Warm Rooms", you'll head to beautiful Bjorkliden for a three-night stay, which includes an unforgettable trip to the Aurora Sky Station and the chance to see the spectacular Northern Lights. 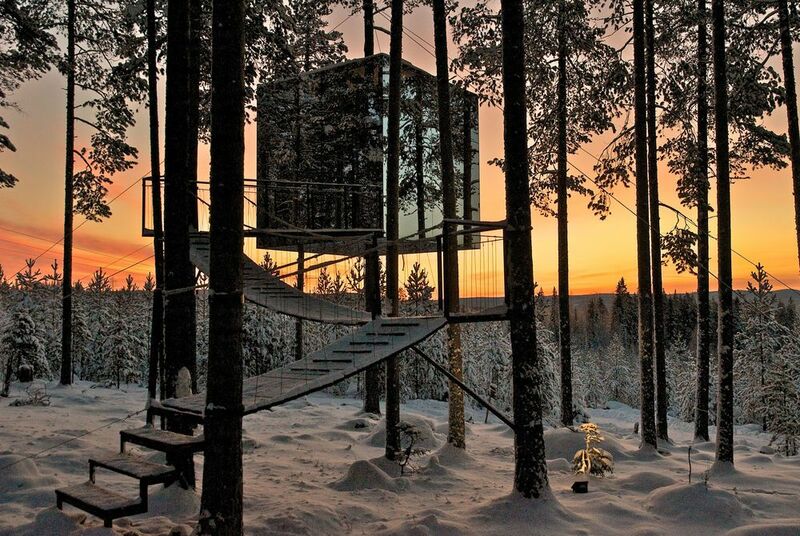 Fly to the town of Luleå in Swedish Lapland and transfer to Treehotel, a stunning collection of stylish tree houses located in the forested slopes of Harads near the Lule River Valley around 100 kilometres from Luleå. 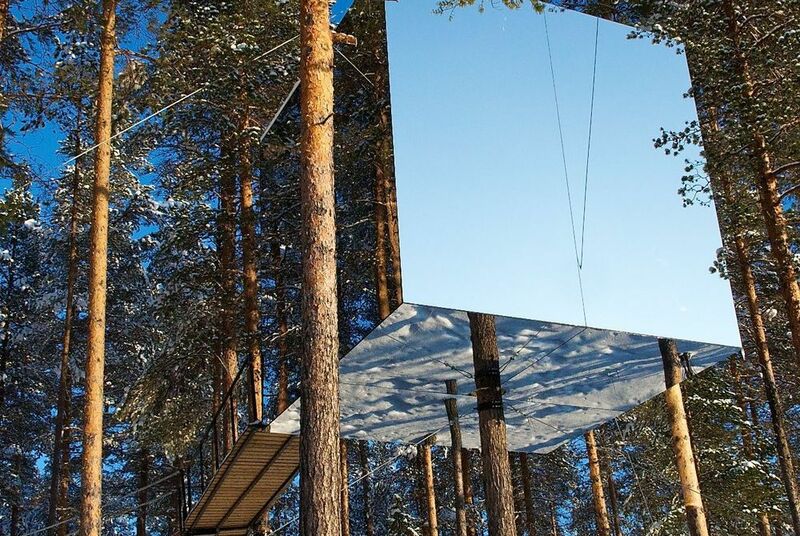 Check into one of the Treehotel's unique rooms, which include the UFO, Blue Cone, Bird's Nest and Mirror Cube; enjoy a typical Swedish dinner at the hotel's restaurant and keep your eyes on the sky just in case the Northern Lights decide to make an appearance. 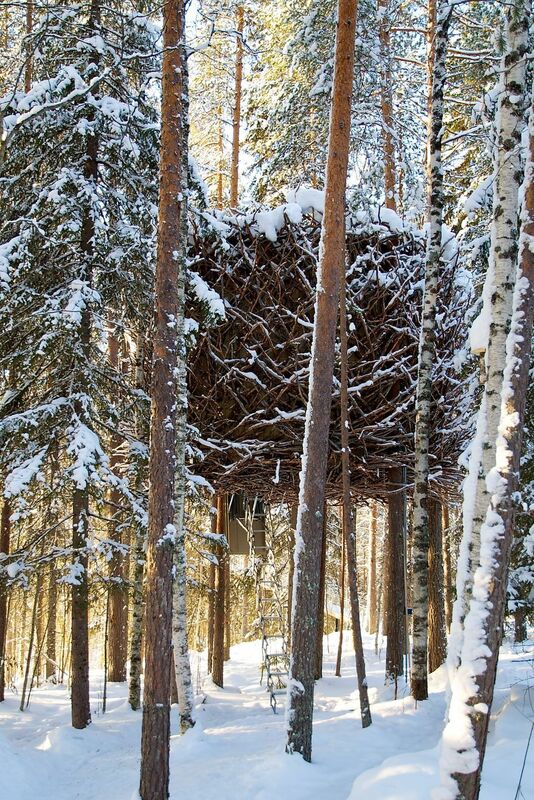 After breakfast you'll leave the Treehotel behind and transfer to Boden, where you'll board a train across the Arctic Circle to Kiruna. 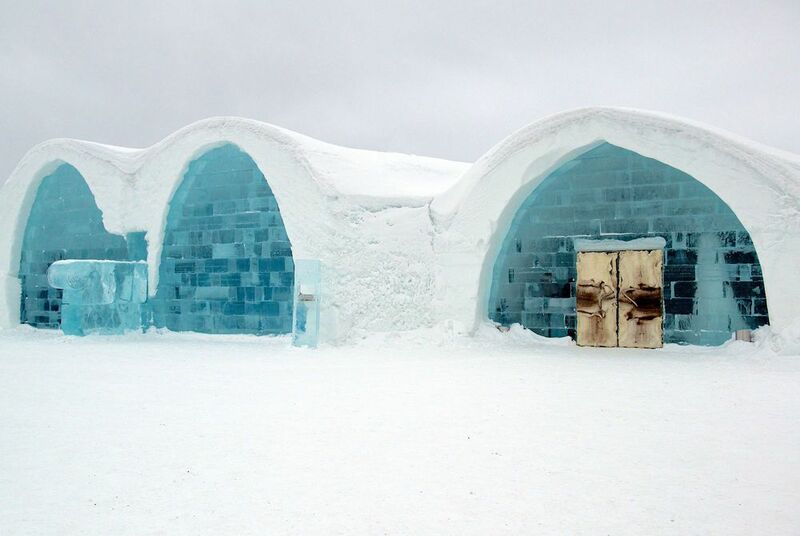 On arrival you'll transfer to the world-famous ICEHOTEL where you'll spend the next two nights, beginning with a night in one of the hotel's ice Rooms (speak to your consultant about upgrading to a Deluxe Room or one of the incredible Art or Winter Suites, which feature intricate ice carvings). Collect your thermal clothing and enjoy a tour of the hotel, which is built from scratch each year using ice harvested from the nearby Torne River. 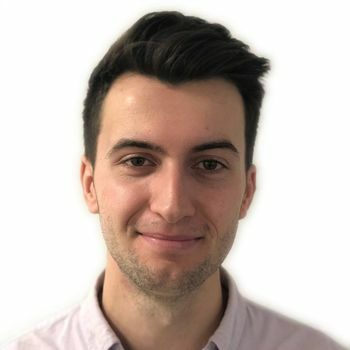 In the evening you'll be able to sign up for various optional excursions before heading to the Ice Bar, where ice cold drinks are served from glasses made of, you guessed it, ice. The following morning you'll wake up to a hot glass of lingonberry juice before heading to breakfast. 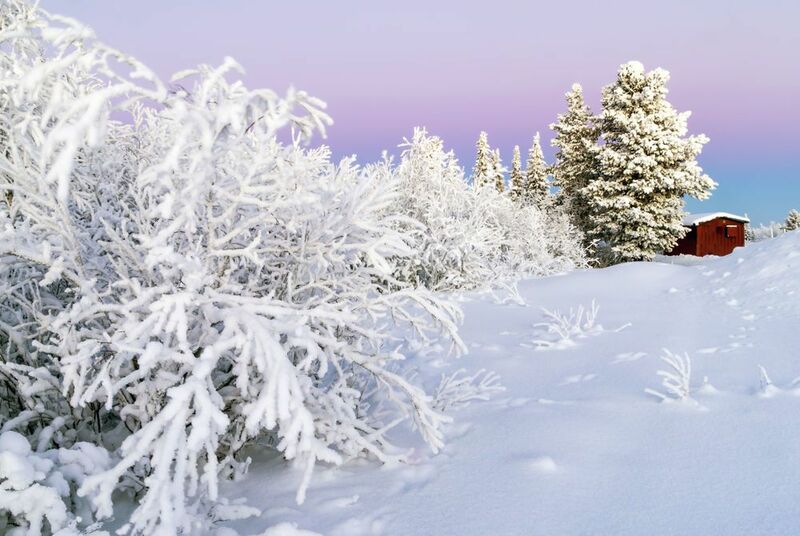 Spend the rest of the day enjoying your chosen activities, which include husky, reindeer and snowmobile safaris as well as the chance to try your hand at ice sculpting. 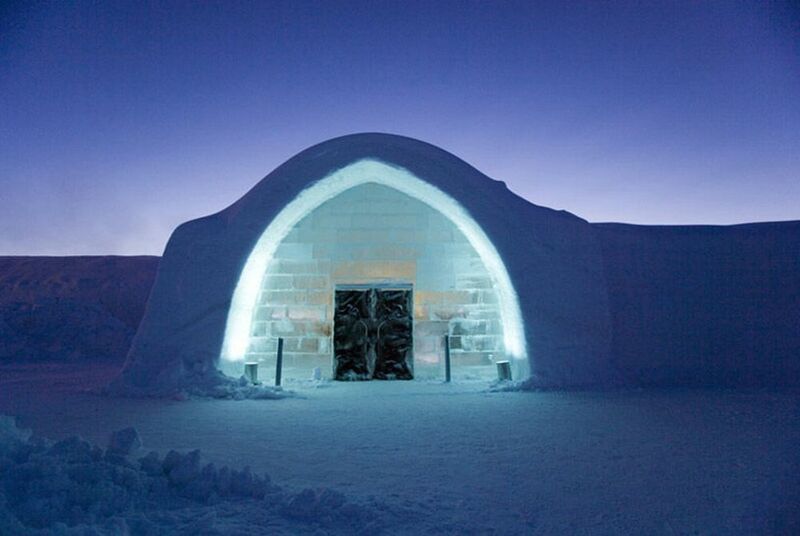 The second night's accommodation will be in one of ICEHOTEL's warm rooms. 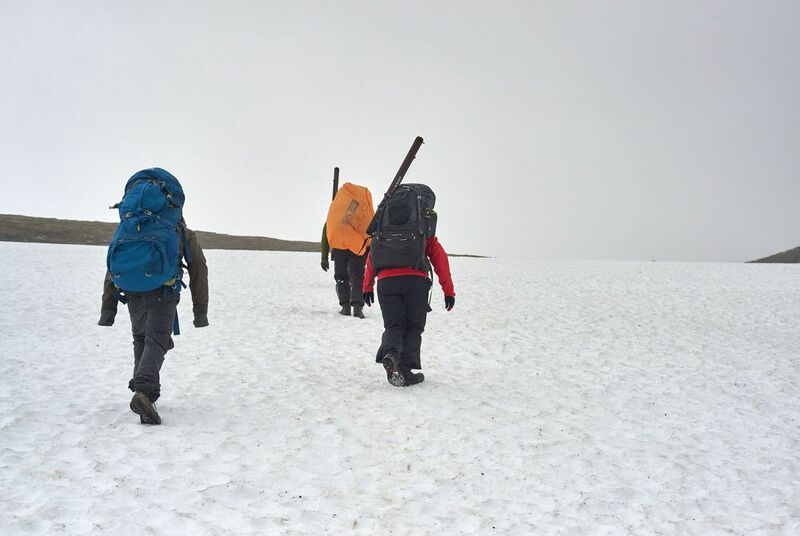 Journey north by train, heading deep inside the Arctic Circle to the town of Bjorkliden, renowned as one of the best places in Scandinavia to see the Northern Lights. 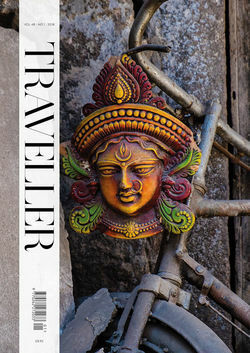 On arrival you'll check into Hotel Fjallet for a three-night stay. 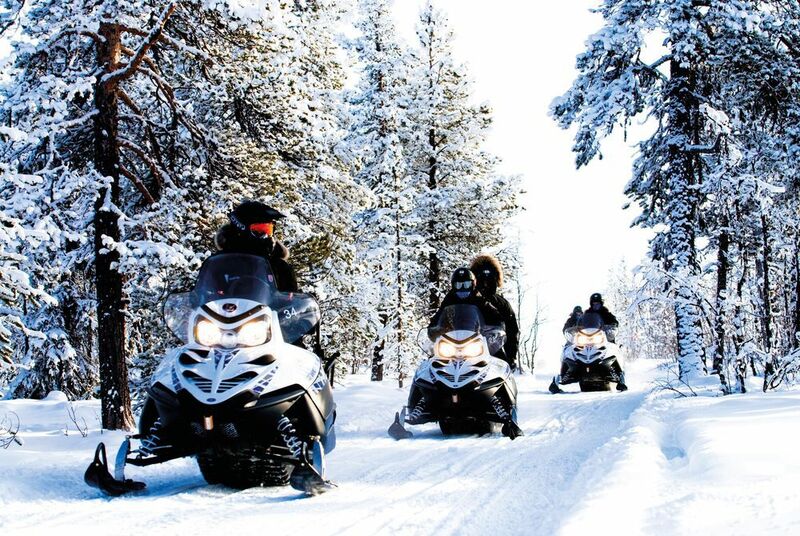 During your time here you'll have the chance to experience more exciting excursions, including snowmobile and husky tours, as well as some excellent downhill skiing. 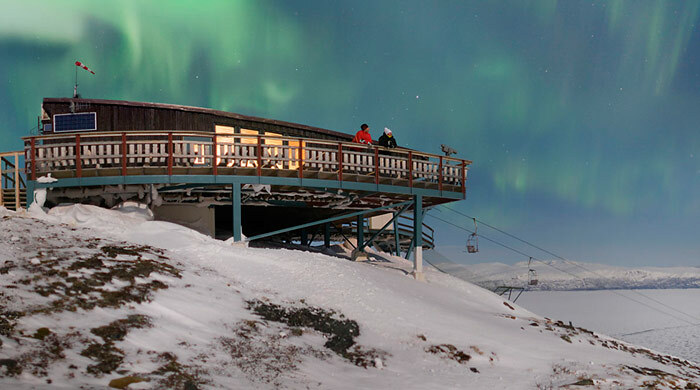 You'll also take an evening excursion to the small town of Abisko, where you'll board a chair lift to the Aurora Sky Station. 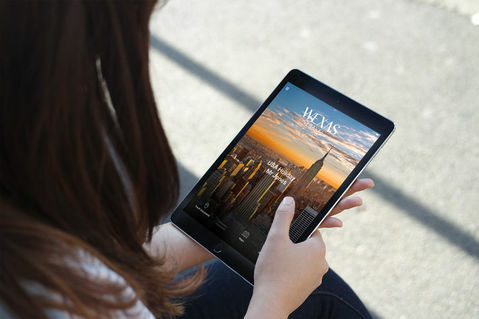 Here you'll learn more about the Northern Lights from your expert guide, and hopefully see the Aurora Borealis dancing above you in the clear night sky. After breakfast, transfer to Kiruna Airport in time for your onward flight to the UK.